An inspirational direction for our special relationship with cats. Cats really do aid our emotional and physical wellbeing. Therapy animal initiatives are now taking those benefits to those most in need. As a cat owner you’re probably aware of how attuned your cat can be to your mood. 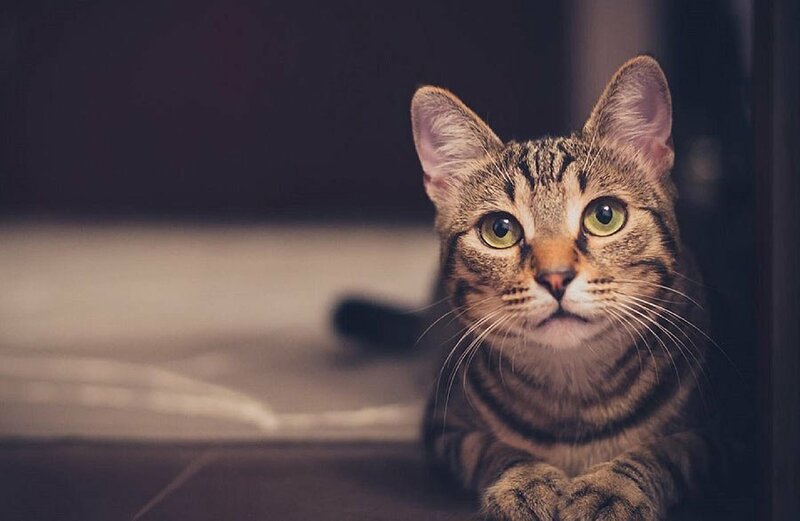 Many owners have tales of times when their cats have responded with visible concern during periods of sadness, grief or depression. And we also know how much comfort and support they can offer us at a very fundamental emotional level at such times. Quite why cats should have developed this close empathy with humans remains something of a mystery, but it’s clearly evolved over the thousands of years that people and cats have been sharing close domestic relationships, and we’re all immensely grateful for the fact that it has. There will be always cynics who sneer at such claims and say that cats are only loyal or affectionate toward us because we feed them. Any cat owner would challenge this view, and there’s a growing body of scientific evidence to suggest that cats do indeed value interaction with humans every bit as much as we do with them, and that this springs from more than simply the cat’s self-interested concern. It’s also interesting that, apparently, cat vocalization – meowing – is a behaviour reserved solely for their interaction with humans; they really are trying to have a conversation with us! This is all the more remarkable when you consider that by their nature cats are solitary and fiercely independent creatures when it comes to their own kind; only lions, among all the cat species, demonstrate genuinely collective social behaviour. Of course that isn’t to say that cats are the only species that humans have close relationships with – dogs being the obvious contenders – but there is something quite special and unique about the bond we can share with a cat. Over the last few years there’s been a growing recognition of the health and medical benefits from interaction between humans and animals, and from this has emerged the phenomenon of the therapy cat. Therapy cats and their handlers are trained to assist with a wide range of situations where interaction with an animal can be therapeutic, helping to lower blood pressure, reduce stress and anxiety, alleviate depression and ultimately improve human immune functioning. Therapy cats have proved particularly effective in children’s hospitals and assisting those with autism, as well as providing comfort to the elderly. And the good news for any cat owner is that your own health and wellbeing is likely to be markedly improved by having a cat in your life! It goes without saying that the best therapy animals are those with very specific character and temperament, calm and relaxed, and able to cope with new people and situations, and forgiving of the occasional clumsy interaction. But if you have such a cat, and the idea of becoming a trained therapy pet assistant appeals to you, it could be a very rewarding thing to do. In the UK the primary organisation behind this initiative is PAT (Pets As Therapy). You can find out more about their work, how you and your cat might be able to become involved, or simply how you can support their work, at petsastherapy.org. Click here to return to the blog post index.